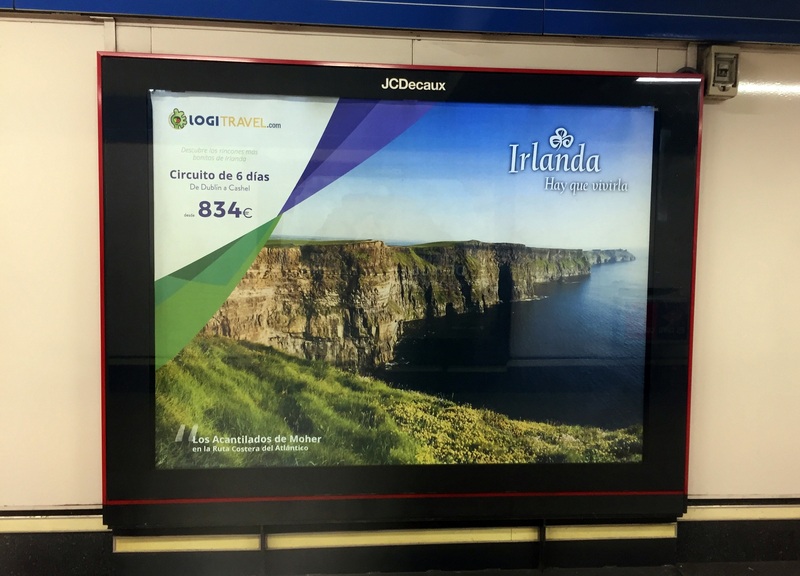 Millions of commuters in Madrid and Barcelona are seeing eye-catching ads for Dublin and Ireland right now. Tourism Ireland has teamed up with Logitravel – one of the largest online travel agents in Spain – for a joint promotional campaign, to raise awareness of Ireland as a fantastic holiday destination and to drive sales of Logitravel packages and coach tours from Spain over the coming months. – extensive exposure on the Logitravel website until mid-July. Αναρτήθηκε από geop στις 10:00 π.μ.